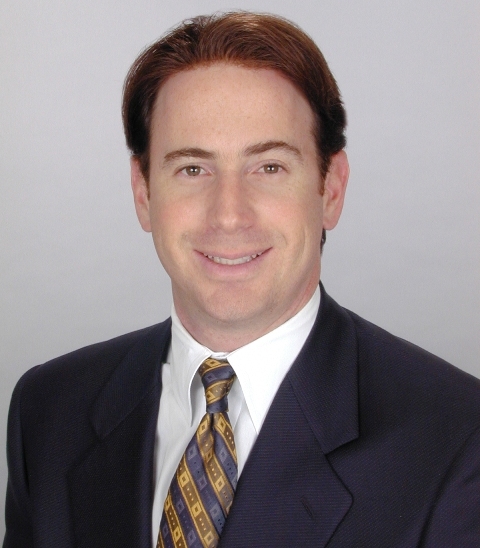 Jonathan S. Horn, CEO of Horn Capital Realty of Miami, is known as one of the foremost experts in the triple net lease arena, is highly knowledgeable in sale-leaseback financing, the acquisition and disposition of NNN transactions for institutional investors, and 1031 property exchanges. He announce acquisition of "hard corner" commercial properties in San Antonio and Marble Falls, TX, and challenges banks, credit unions and other financial institutions to re-think their "clustering" strategy when making site selections for new branches/facilities. Hard corners are strong-demographic, high-income, undeveloped commercial properties near traffic lights. He details the benefits of NNN Properties and sale-leaseback deals and how as a "tenant" a bank or other business can free up need funds or capital to grow their businesses. Horn Capital Realty, Inc. of Miami, which specializes in triple net lease properties (NNN), has acquired three commercial properties in San Antonio and a fourth in Marble Falls in the Texas Hill Country. Terms of the sales on the strong-demographic, high-income "hard corners" were undisclosed, but as a group exceed $4.1 million. Horn Capital Realty, known as one of the foremost experts in the triple net lease arena, is highly knowledgeable in sale-leaseback financing, the acquisition and disposition of NNN transactions for institutional investors, and 1031 property exchanges. "We concentrate on the selection, marketing and development of 'hard corners' -- undeveloped commercial properties near traffic lights," said Jonathan S. Horn, President and Founder of Horn Capital Realty. "We are actively seeking the interest of banks, credit unions, other financial institutions, drug stores and fast food operations. "We will build-to-suit or ground lease the land to a tenant on a long-term triple net lease property," explained Horn, who has completed more than $500 million in transactions with such large national firms as Home Depot, Kmart, RBC Centura, Taco Bell, Wal-Mart, Walgreen Drug Stores and Wild Oats Markets. The former Vice President at Henry S. Miller Commercial of Dallas, then Texas' largest independent real estate services firm, founded his own company in 1996, relocating from Dallas to Miami in 2001. Horn, who earned a B.A. degree in economics from the University of Texas at Austin, is a 17-year veteran of the commercial real estate business. His authored articles have appeared in Real Estate Issues, Area Development, Office & Industrial Properties, Austin and Dallas Business Journals, Pittsburgh Business Times, and he's been quoted by the Dow Jones News Wire. "I believe at the corporate level's direction, many site selection committees - particularly national and regional bank holding companies - are missing a key tactic when performing due diligence on potential locations," Horn emphasized. "They exhibit a preference for 'clustering' or grouping up at grocery-anchored shopping centers, or the likes, either directly next to each other or at the same intersections. That may work for auto dealers where impulse buying, product comparison and hard negotiations are typical," he observed. "Bank customers generally don't seek a checking account at one bank, passbook savings at the credit union next door and a commercial loan down the street. They don't seek a 'financial district' with comparison shopping in mind. "When a commercial enterprise fails to deliver a reasonable or anticipated bottomline performance, does management simply shrug and say, 'Well, too many forks were chasing the same slice of pie in that neighborhood!' Management has a responsibility to its investors to select the most advantageous site versus the 'safe' site where intense competition already exists. "When banks or similar businesses crowd into the same limited geography and chase a static market share, failure to prosper then has a built-in excuse. And it shouldn't," he said. "In my opinion, a smarter choice is to find these unexploited hard corners with commensurate demographics and/or strong growth and high traffic counts - locations where customers bank or buy for the sake of convenience. At such sites, financial institutions, restaurant and drug store chains all have a higher probability of capturing and serving a larger share of the immediate market," Horn stated. Commercial property ownership under a NNN lease agreement has been a highly popular and effective strategy in real estate investing for decades, noted Horn, who also has extensive experience in debt-and-equity placements in U.S. markets. estate taxes, insurance, improvements, on-site property management, maintenance and improvements. "High net worth individuals, particularly conservative investors, as well as banks, trusts, pension funds and REITs, are probably the best candidates for these types of investments," he explained. "They share homogeneous objectives: safe, passive real estate investments designed to provide predictable, advantageous annual cash income, tax reduction benefits and the opportunity for significant long-term gain. "For investors, triple-net lease real estate is a sensible and prudent alternative," he opined. "In addition to a steady source of income, they escape the hassles of management and leasing - the day-to-day responsibilities typically found in conventional real estate investments." According to Horn, the sale-leaseback industry has restructured the ownership of trillions of dollars worth of the nation's corporate real estate assets during the past two decades. "Sale-leaseback financing is becoming much more popular in today's markets as many executives seeking critical funds to grow their companies are confronted by uneasy debt markets," he said. In a sale-leaseback arrangement, a company sells one or more of its single tenant properties to an investor, generally for fair market value, in order to convert its illiquid real estate assets into working capital. The investor provides the seller with a triple-net lease for a negotiated period of 10 to 25 years. The seller/tenant then pays the investor a negotiated annual rent equal to 8% to 13% of the contracted sale price. Most often that rate is credit-driven.